In northern California, neighboring Cupertino is a small town called Campbell. It seems like kind of a nothing town with chain restaurants and not much else. But, there’s actually a cool little strip of town called Historic Campbell with a number of fun, upscale restaurants. For some reason they all have the same fiery torches illuminating their front walkways. 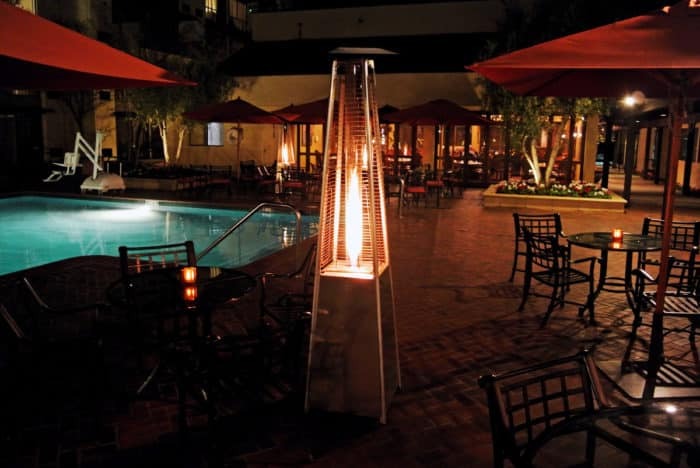 The walkway torch empresario must have had a hey day selling these tall flickering lanterns to every upscale hotel and restaurant up and down the California coastline. 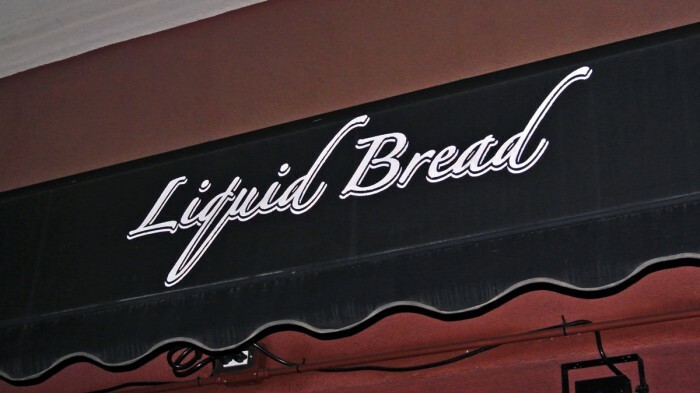 Nestled in amongst the high-end restaurants is a tiny gastropub called Liquid Bread serving gourmet, modern American cuisine along with a ton of quality beers rotating on tap. 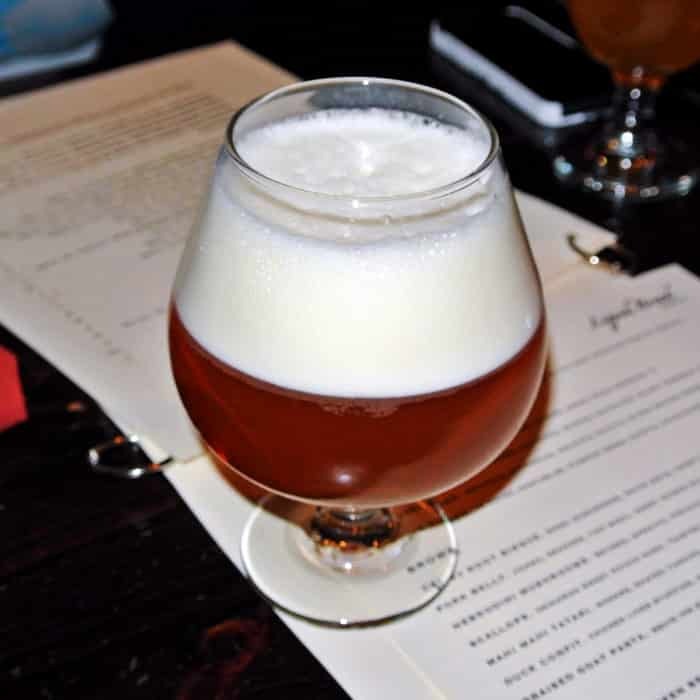 If you’re going to Liquid Bread, obviously the move is to start with a beer, any beer that matches your taste. They’re all great. 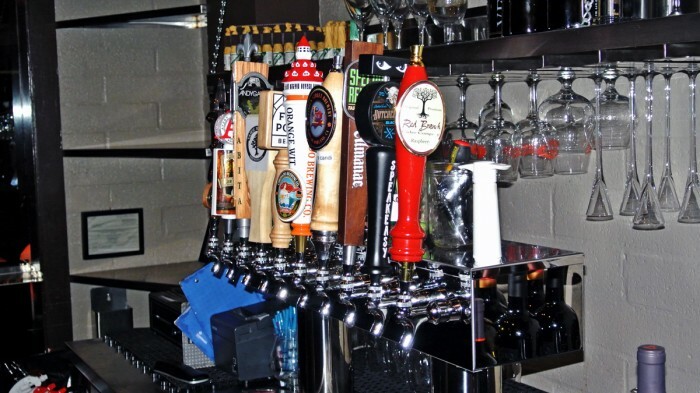 Many of the beers on tap are the high proof variety, so beware, they’ll get you buzzing pretty hard and fast. I started with the 10.1% Stone Matt’s Burning Rosids, a smokey, funky, bold ale that paired really well with the coming hearty pub fare. For a starter, I selected the Chicken Liver Pate side, which at only $5 was quite a deal. 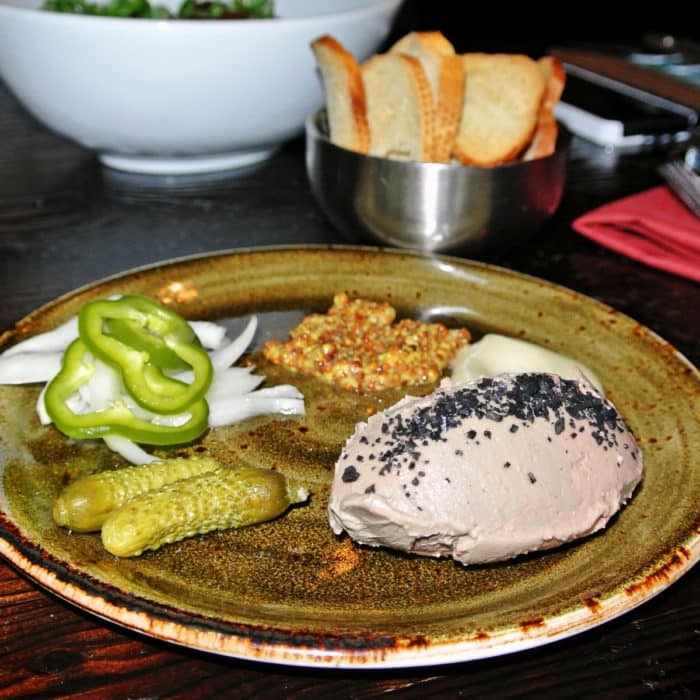 The platter came with an enormous dollop of silky smooth, creamy chicken liver sprinkled with black lava salt along with whole grain mustard, aioli, sliced onions, cornichon pickles, fresno peppers, and crusty toast points. This dish was exactly what I was hoping for. Rich, creamy, crunchy, spicy, and flavorful. For my entree, I had the Braised Short Rib. The portion was very generous and the meat was extraordinarily tender. No knife necessary, all I needed was the edge of my fork to shred and pull this beef apart. It was topped with some brilliant creation called marrow butter. Yes, marrow butter. Everything on the plate was delicious and I happily polished off the entire plate while downing a Speakeasy Butchertown Black Ale. 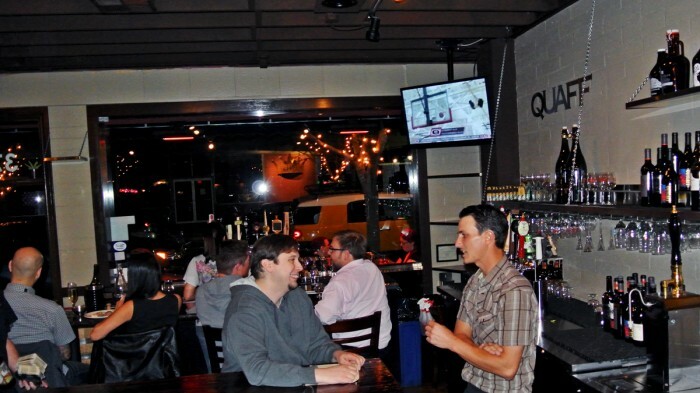 So, if you’re in Campbell, California or one of the nearby Silicon Valley towns and you like great beer and comforting pub fare, look no further. Everything I ate was awesome and everything else looked equally as great so give it a shot, I’m sure you’ll find something to love. 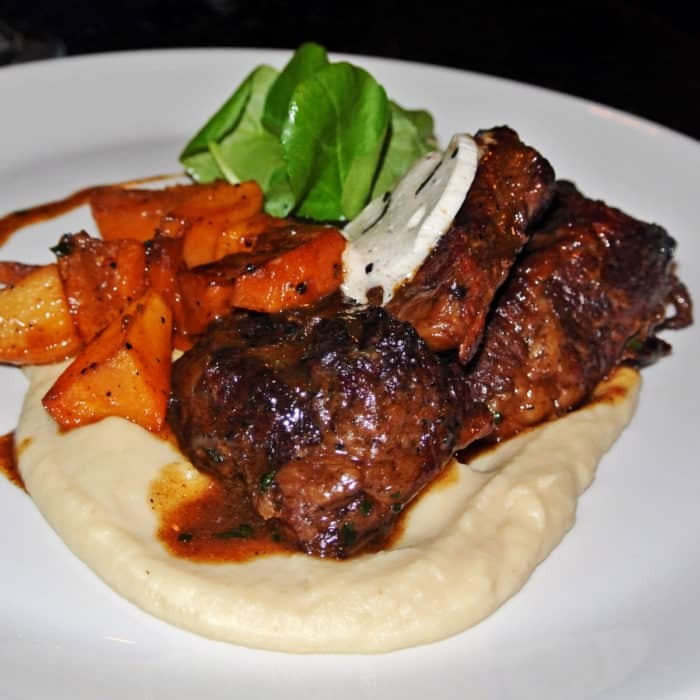 Know of another spot in the Silicon Valley area with awesome food I should check out? Let me know in the comments below.